24 Bags - Buffalo Ranch - 0.7oz. 24 Bags - Pefectly Salted - 0.8oz. 24 Bags - Tangy Barbecue - 0.8oz. 24 Bags - Variety - 0.8oz. 72 Bags - Salted - 0.8oz. Sign up for future popchips news! Click the button below to sign up for future popchips news, deals, coupons, and reviews! 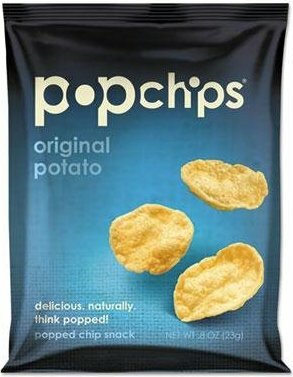 Sign up for future popchips deals and coupons! 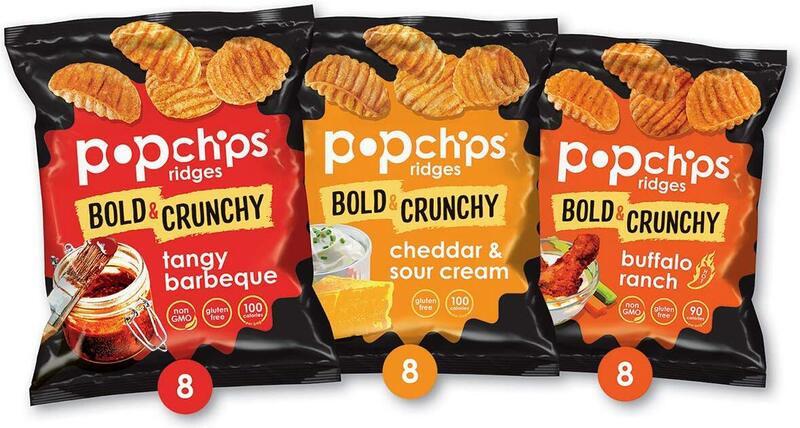 Click the button below to sign up for future popchips deals, news, and coupons! 12 Bags 24 Bags 1 Bag Barbeque - 0.8oz. Barbeque - 5.0oz. Sea Salt & Vinegar - 0.8oz. Sea Salt - 0.8oz. Sea Salt - 5.0oz. Sour Cream & Onion - 0.8oz. Sour Cream & Onion - 5.0oz. Zesty Jalapeno Cheddar - 5oz. $4.68 This is a Buy 1 Get 1 FREE offer!